No vampire lord can claim power unless he has a dangerous weapon. Some have magic, others have swords, but you can have the Waning Blood Moon Dagger as your vampiric weapon of choice. After all, the blood moon is the vampire moon. This decorative, stainless-steel dagger possesses a crescent moon shape. The middle of this weapon is decorated with a skeletal vampire, whose hands stretch down the inside of the blades, which are colored red and decorated with demonic skeletal figures. The skeletal decoration features a high level of detail that makes it an incredible piece of vampiric and skeletal decor! 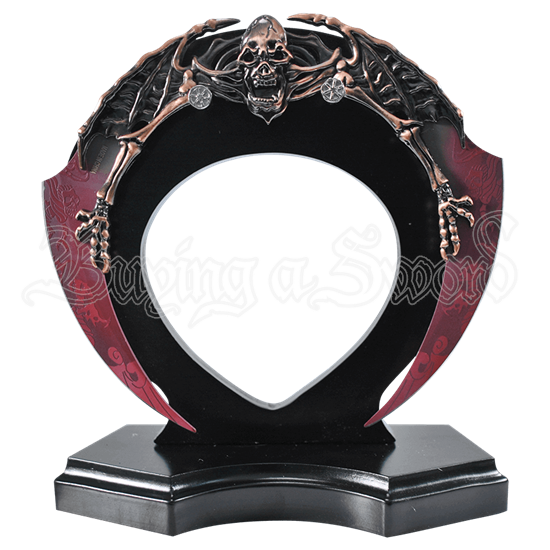 This vampiric crescent dagger rests upon a wooden display base, allowing you to display it in any room of your home! 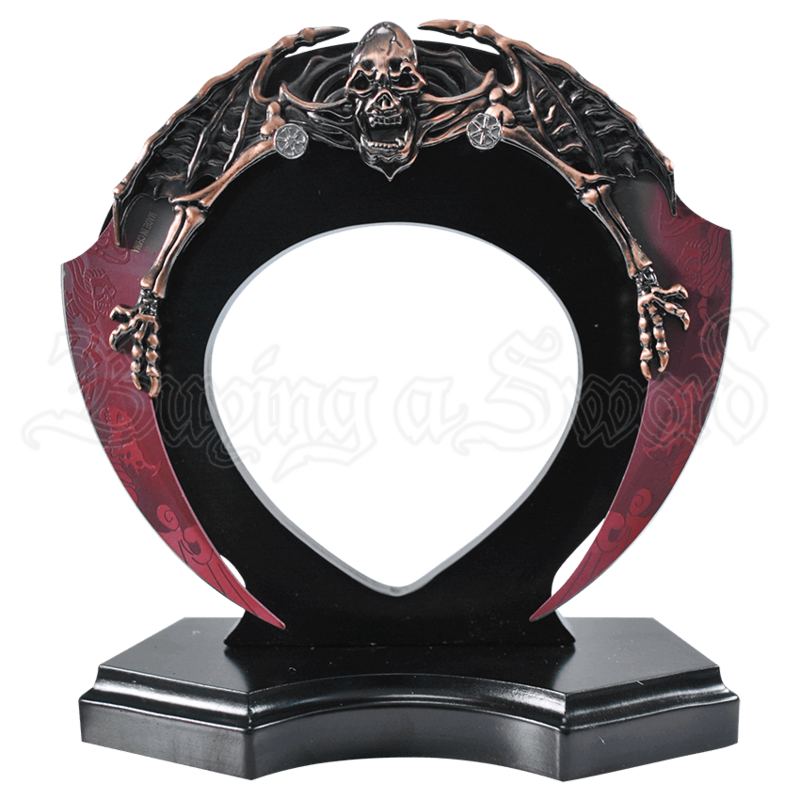 Use it to add a vampiric flair to your home, or give it to a friend or loved one who enjoys vampires or blades!